ISTANBUL --- Acceptance tests for the first unmanned aerial vehicle (UAV) system, developed by Turkish Aerospace Industries (TAI) to be capable of autonomous flight and navigation in night and day conditions beyond sight lines with the ability to be controlled by satellite, have been successfully completed, and two UAVs and related systems have been delivered to the Turkish Air Forces, according to TAİ. 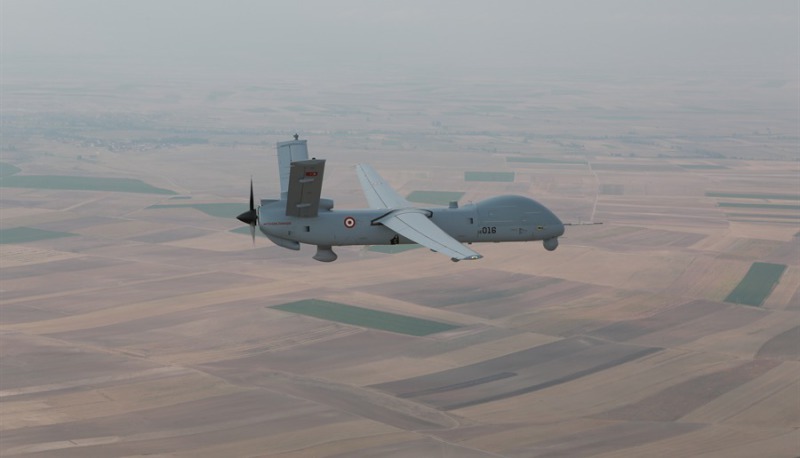 According to a written statement from TAİ, the ANKA-S System, designed according to international safety standards with the integration of new generation utility loads and domestic resources, has taken its place in the inventory as one of the most competent systems in its class, having national flight control, aircraft control computers, national IFF (Identification Friend and Foe) and safety and operational capability. Reportedly, technical and flight training for the Air Force Command has been successfully completed. The ANKA-S, which will add strategic strength to the Air Force Command, will be able to control six air vehicles at the same time via satellite. In the ANKA-S, where information and data security are maximized, cryptographic data transmission is ensured in all communication systems, hardware encryption is used in IFF and wireless communication, and data encryption is protected by a national encryption solution. In addition, it can perform a task-oriented flight due to its camera-guided flight mode and fully autonomous flight features. New generation electro-optic/infra-red camera, identification, follow-up and marking tasks, combat search and rescue task and air-to-ground/ground-to-ground communication support with wireless relay are provided.